It’s time to plant fruit! 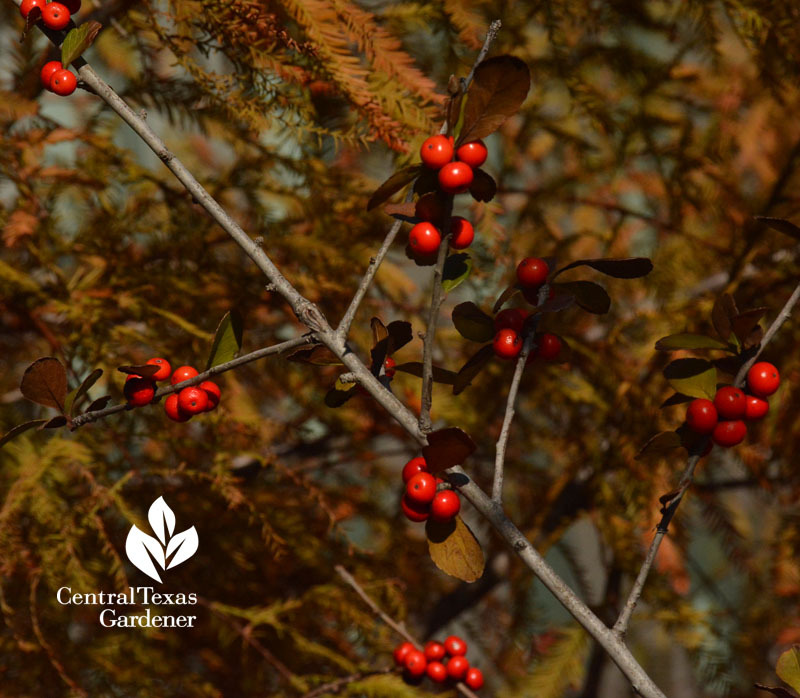 Along with luscious ones for us, add some for wildlife, like possumhaw holly. 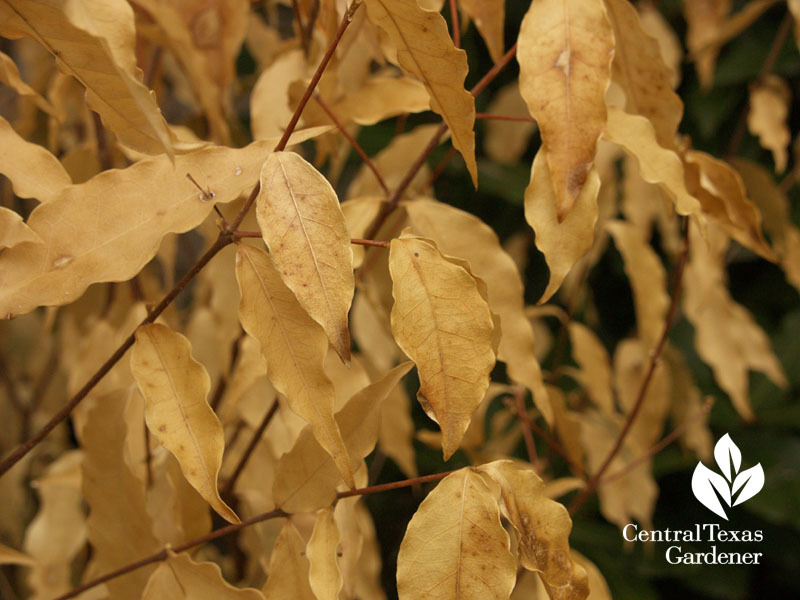 Pair with fall leaf peeper, Bald cypress, to double the sensation. My native evergreen sumac fruits are yummy for me and the birds. Since I only have one, I’d rather feed feathered families, especially these super cold days. 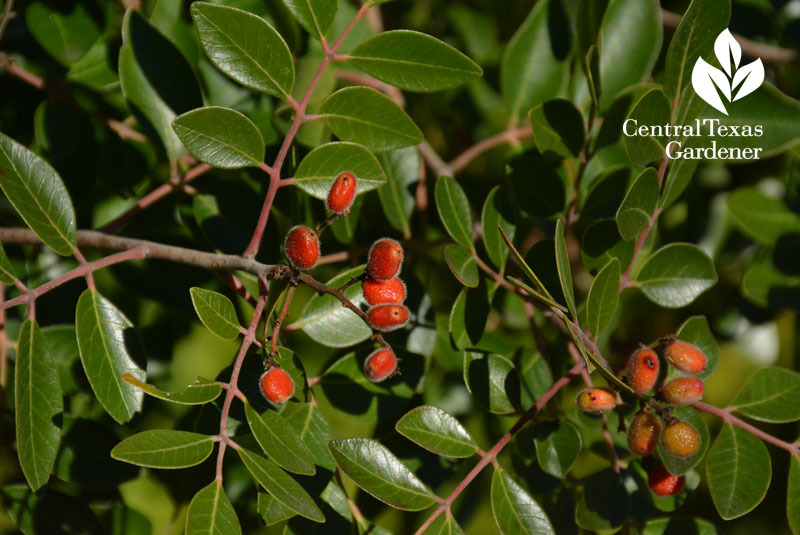 In late spring through fall, I will snag a few fruits from native Barbados cherry (Malpighia glabra) before they get plucked clean. 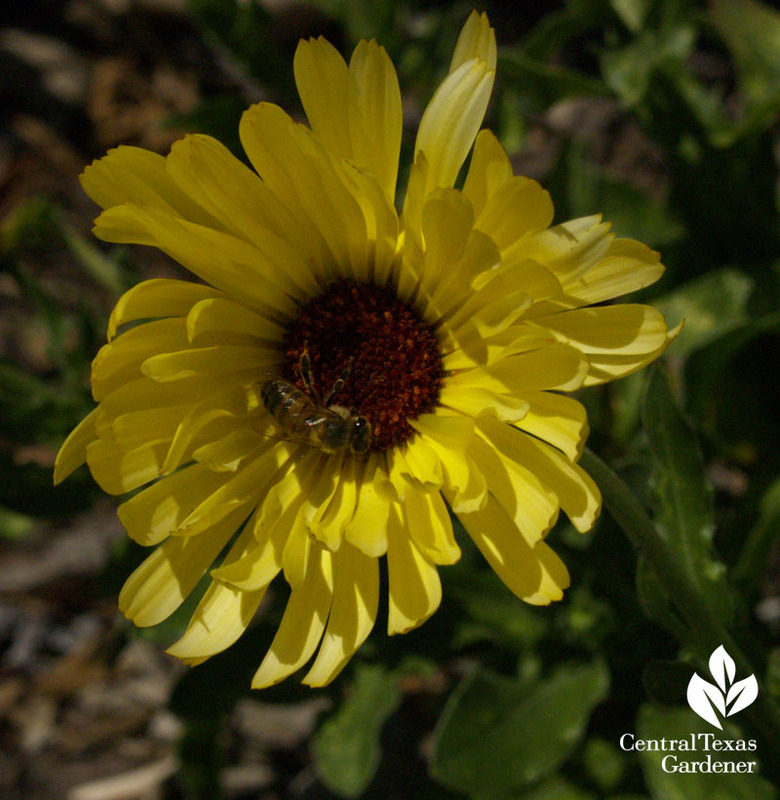 Pollinators stay busy on the flowers to crank out more, plus it’s a larval plant for some butterflies. 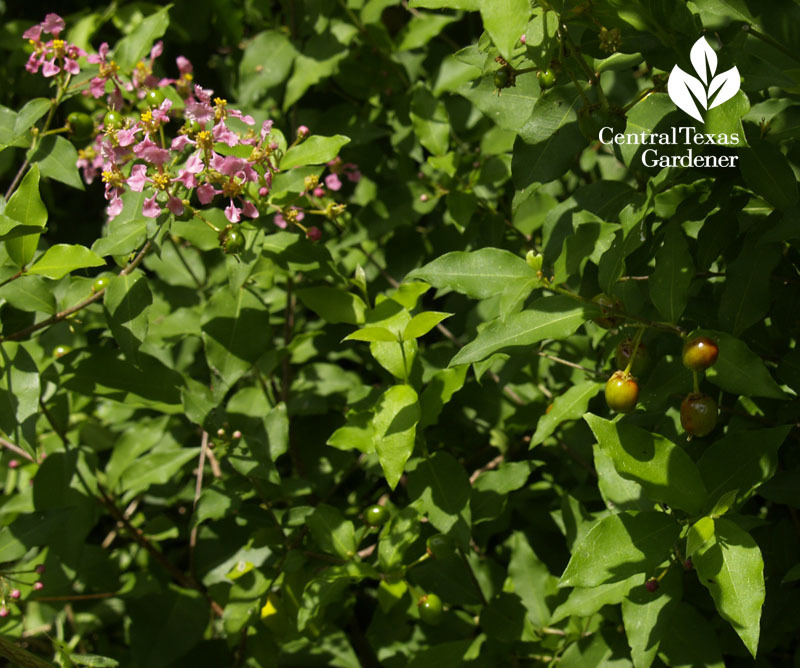 Since this large shrub can suffer top growth damage in hard freezes, I’d wait to plant until March. Established roots are hardy. 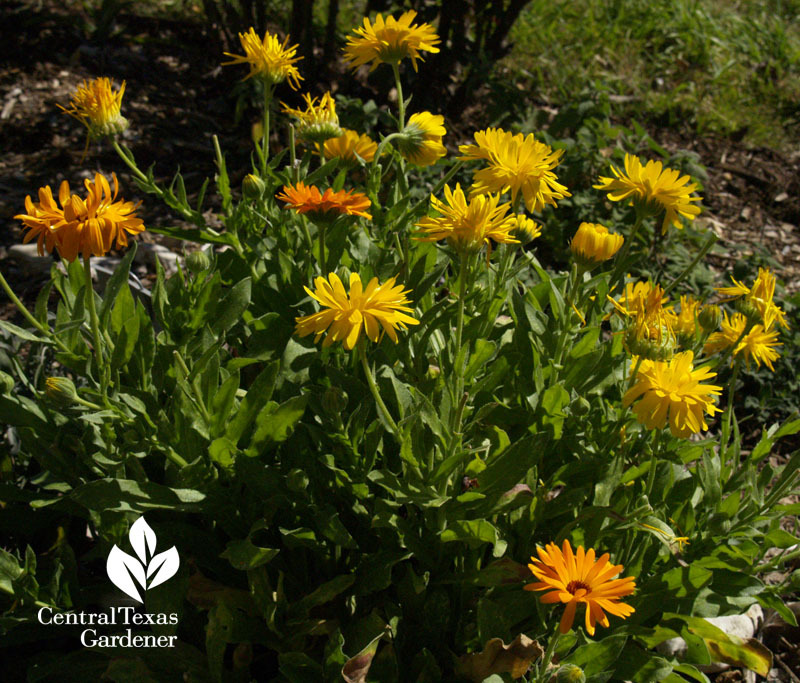 If it freezes, simply prune a little in late winter to spur new growth and keep them in bounds. In a large patio pot, I’m growing my first calamondin. From day one, this guy has flowered and fruited without taking a breath. 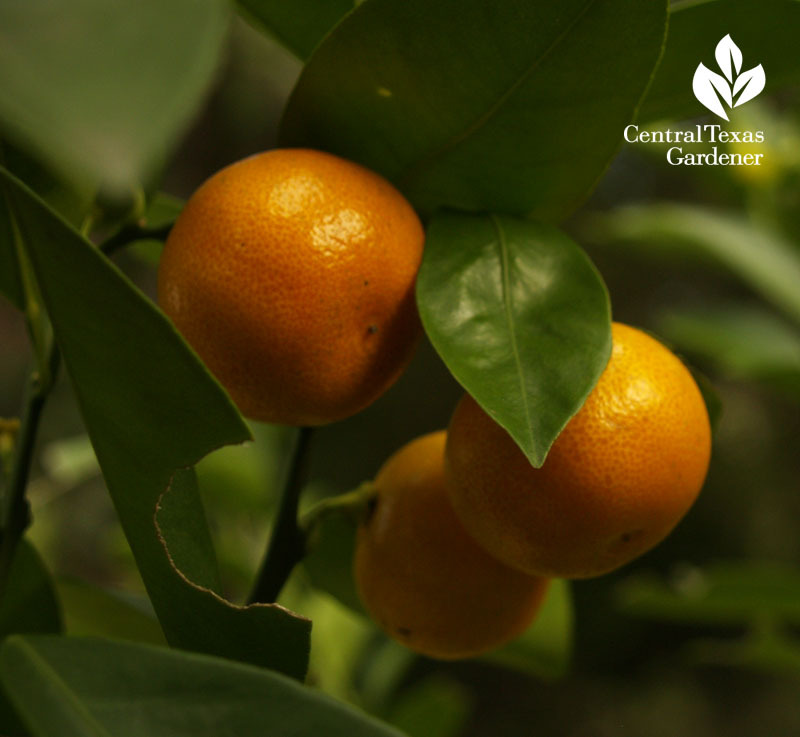 What its fruits lack in size—largest about 2”—it makes up in performance. For some, it’s too tart to munch (though I like it—being a fan of Sweet Tarts). It’s great for dressings, marinades and marmalades. A few handfuls of mine made it into KLRU colleague Jacob’s yummy version of Key Lime pie. Picking your own fruit or nuts is immensely satisfying. 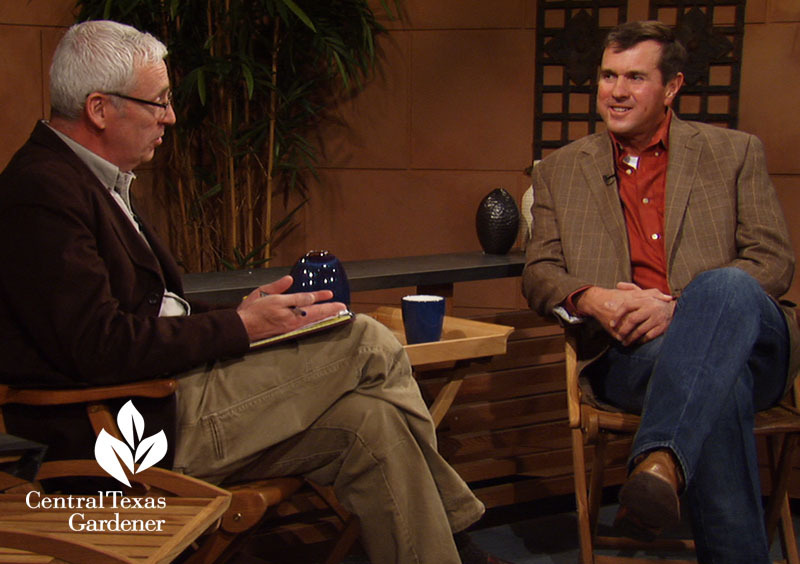 This week, Larry Womack from family growers, Womack Nursery in De Leon, Texas, joins Tom for the secrets to success. He has us drooling with pear and pomegranate selections, including some for smaller spaces. We ran out of time to mention almonds, but yes, we can grow them! 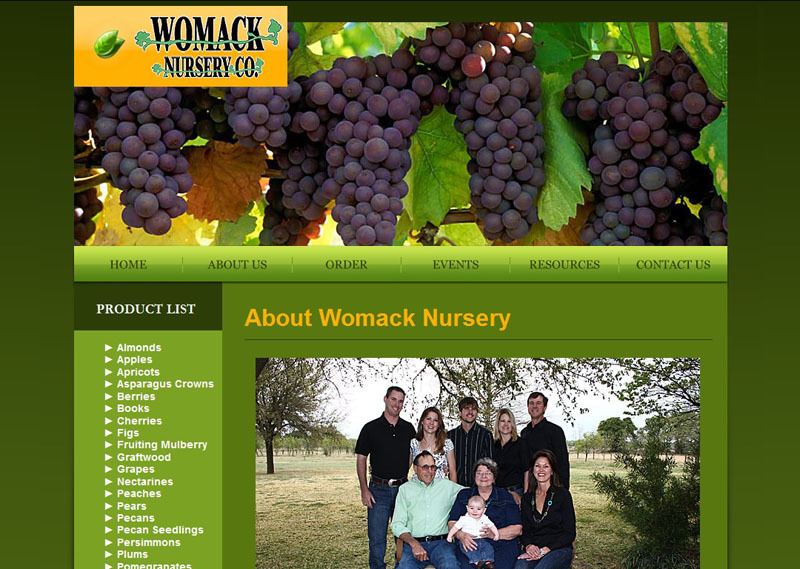 Check out Womack’s online nursery for mouth-watering selections from one of the leaders in quality fruit and nut growing. Daphne explains that we don’t paint most cuts, since it inhibits the natural healing process. 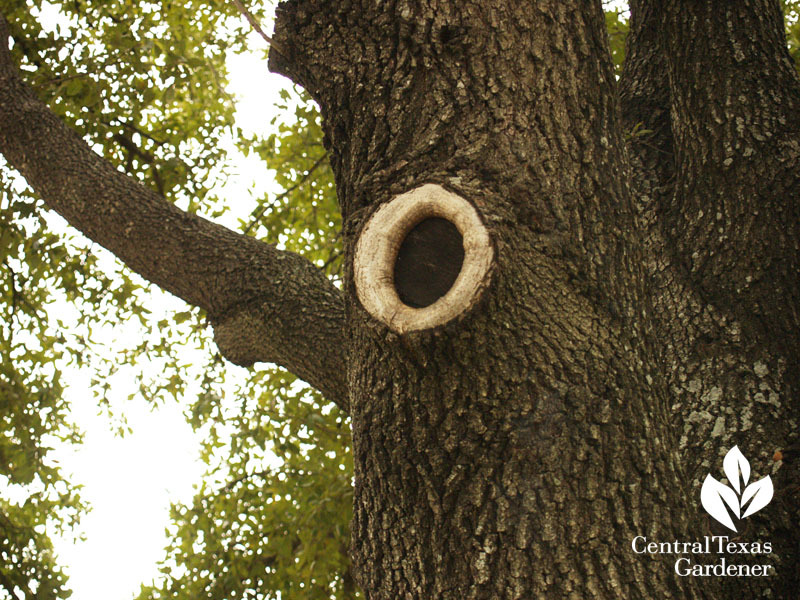 The exception is live oaks and red oaks susceptible to oak wilt. In their case, we DO need to paint the cut within 10 minutes, since the fragrance of freshly cut wood is attractive to the Nitulid beetle, the vector of oak wilt fungus. How to paint? I love Daphne’s idea to use a clear lacquer spray or even spray adhesive so you’re not looking at ugly black paint the rest of your life! And rather than disinfect tools with a bleach solution, which can rust them, use Lysol or Pinesol. Find out more. 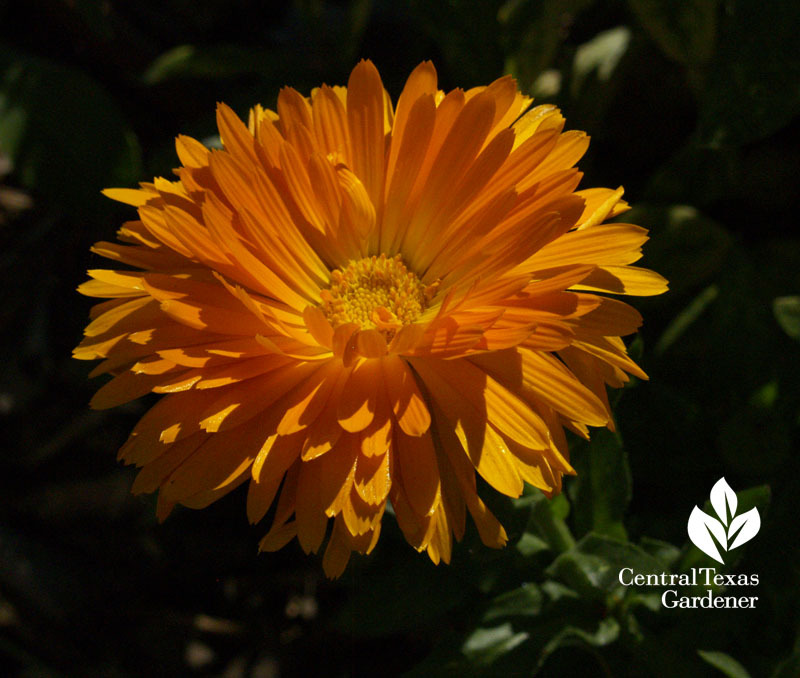 In this winter gap, annual calendulas feed bees and even hummingbirds. In the organic garden, add its lovely petals to salads if you can spare a few! 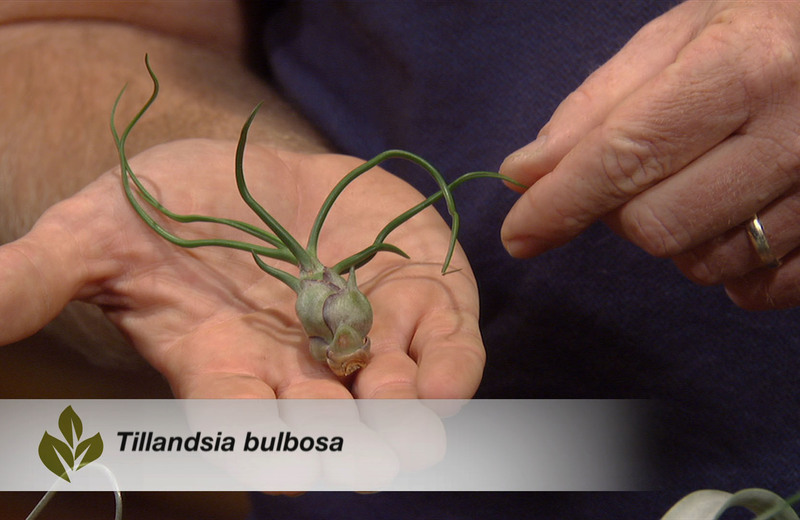 Indoors, Merrideth Jiles from The Great Outdoors has the easiest plant you’ll ever grow: Tillandsia! 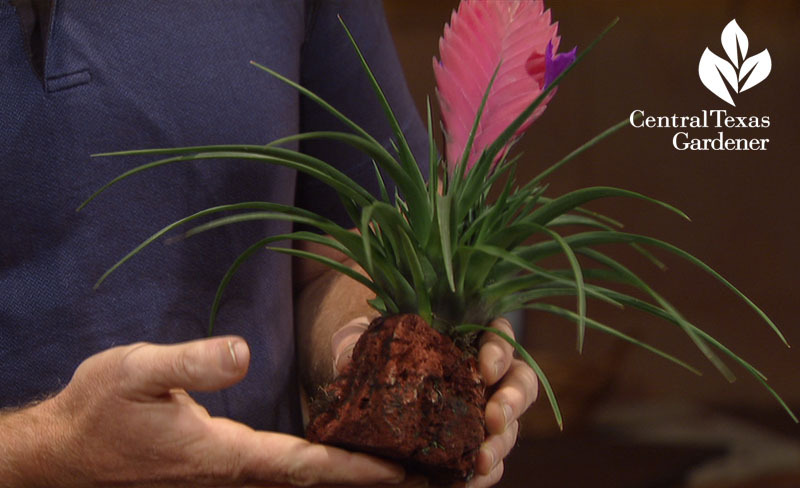 Sure, you can pluck epiphytic ball moss from your trees and give them new cred in a creative display. Or, style up with one of its cousins. On tour, Paige Hill (now Oliverio with recent marriage, yahoosers!) 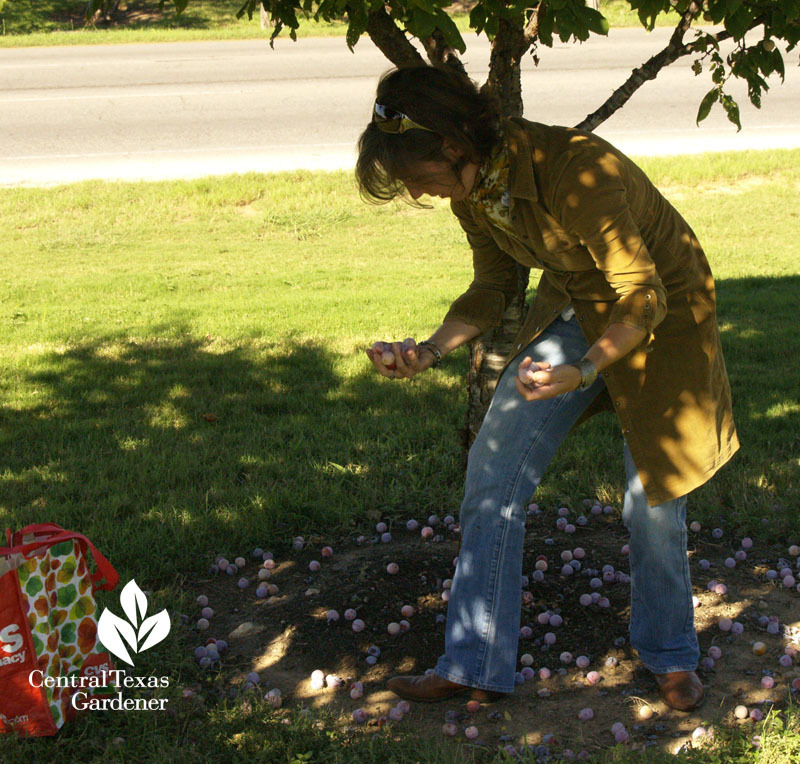 promotes urban orchards, like the one at Mueller, to collect Mexican plums and pecans. 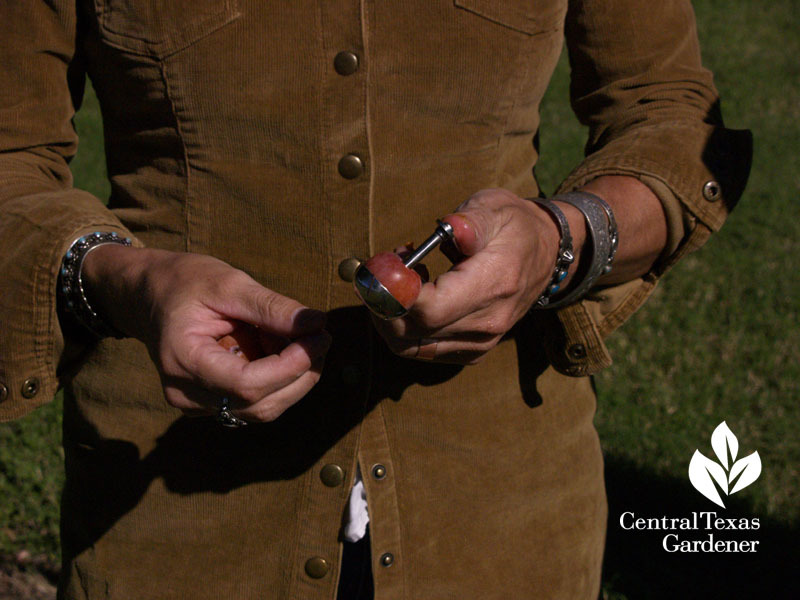 Here’s a handy trick: a cherry pitter to extricate the native plum’s seeds. The CTG crew got yummy treats that day! 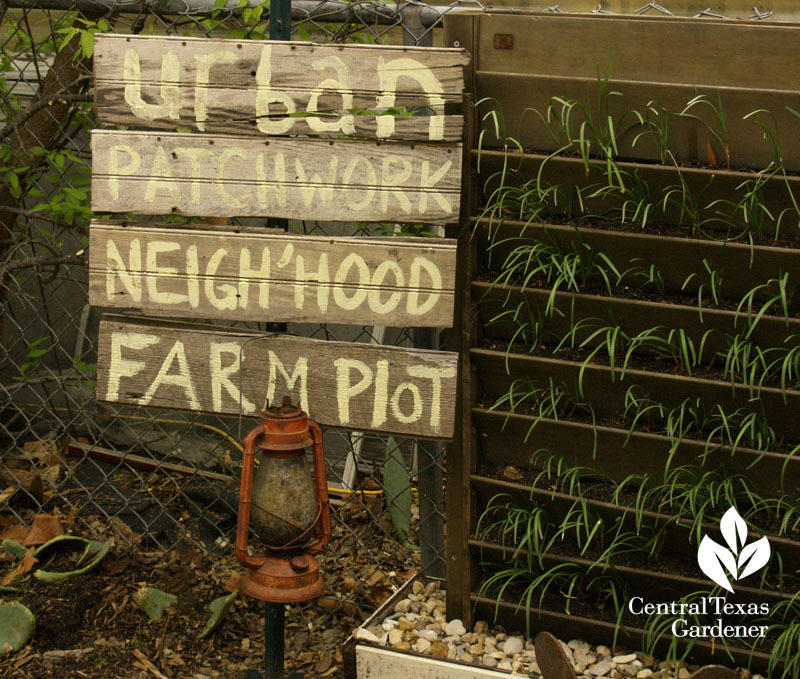 Founder of Austin’s Urban Patchwork Neighborhood Farms, Paige brings neighbors together to grow food and friendships in the move back to our sustainable heritage through urban farms. 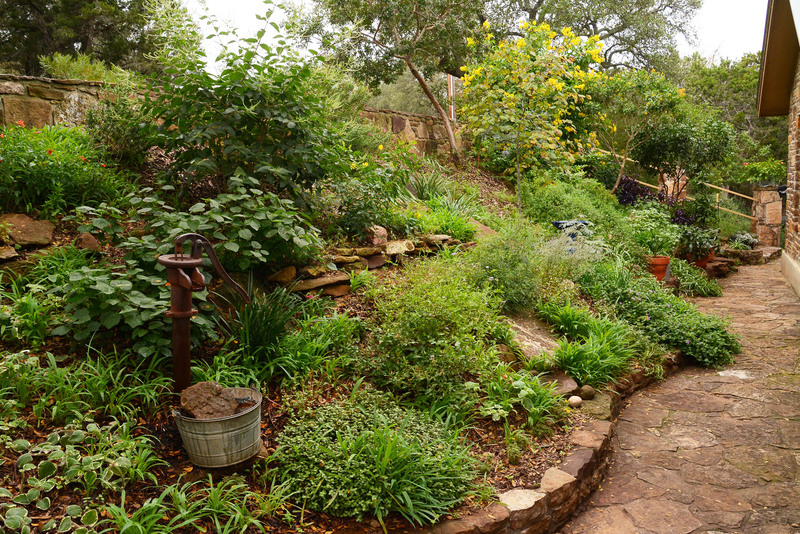 Here’s the deal: I grow herbs and swap you for eggs. 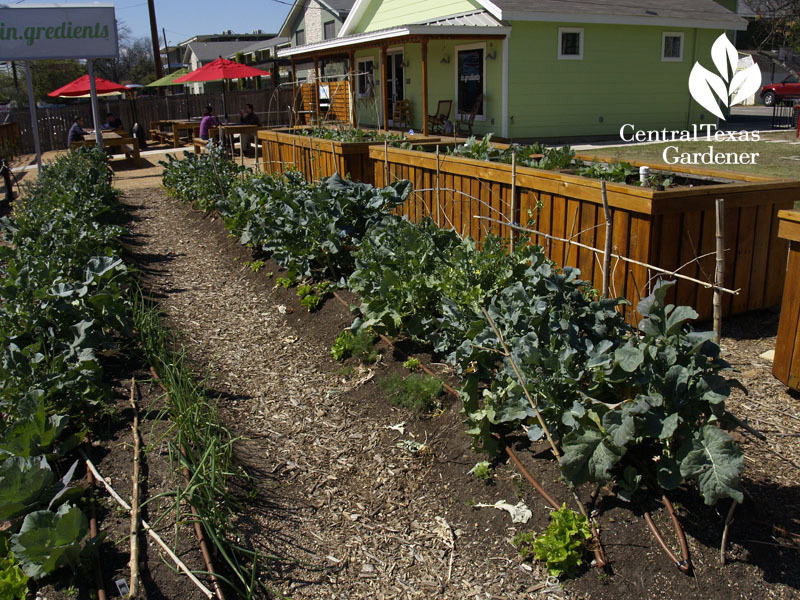 The guy down the street has honey and the folks a few blocks over grow organic vegetables. 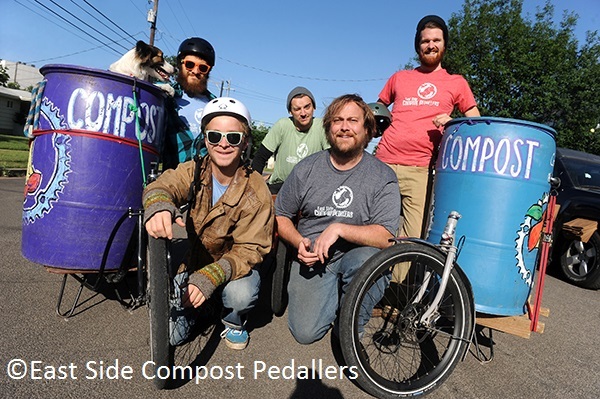 It’s a team effort that includes neighborhood grocer in.gredients, where Urban Patchwork conserves water with wicking and hugelkultur beds. ← England Goes To Texas!